If you want to study at one the world’s leading universities in the field of legal studies, but you’re not sure where to study, our latest law school rankings could help. 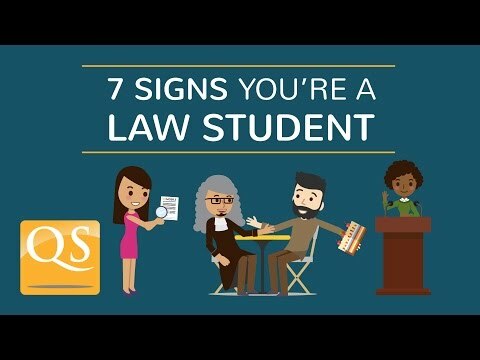 Based on a methodology which draws on employer and academic reputation combined with data on research citations, the ranking highlights the world’s top-performing universities in the area of law and legal studies. See below for an overview of the world’s top law schools, or to view the full list of 200, click here. The ranking features 33 top law schools in the US and a further 11 in Canada. 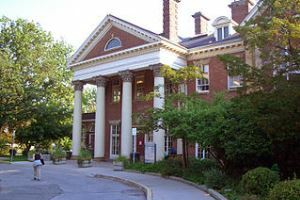 Of Canada’s 10 leading law schools, three are within the top 50 worldwide: the University of Toronto (19th), McGill University (26th) and the University of British Colombia (31st). As well as taking six of the top 10 spots, the US has a total of 13 law schools within the world’s top 50. Outside of the top 10, these are the University of Chicago, the University of California, Los Angeles (UCLA), Georgetown University, the University of Pennsylvania, the University of Michigan, Cornell University, and Duke University. Another region with a strong representation in the law school rankings is Europe, with 30 entrants from the UK alone. This includes 10 UK universities ranked among the world’s top 50 for law, with a further three UK institutions in the top 100. Close behind those featured in the top 10 (see above) are UCL (University College London, 14th), King’s College London (17th), the University of Edinburgh (28th), Queen Mary University of London (QMUL, 35th) and Durham University (joint 41st). Germany follows the UK in terms of numbers, home to 12 of the world’s top universities for law. Of these, five are within the top 100, led by Ruprecht-Karls-Universität Heidelberg (39th) and Ludwig-Maximilians-Universität München (48th). Italy has nine representatives in the law school rankings, including Sapienza - Università di Roma and Università di Bologna (UNIBO), both ranked in the top 100 for law. 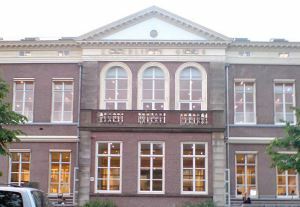 Eight leadinglaw schools are claimed by the Netherlands, led by Leiden University (24th). Spain follows with seven entries in the ranking, including the Autonomous University of Madrid (UAM, Universidad Autónoma de Madrid), along with two more top-100 entries. Switzerland and Belgium each have six representatives in the ranking. The University of Zurich is Switzerland’s top offering at 51-100, while Belgium claims three places within the top 100, including KU Leuven in 30th place. France is home to four top law schools, headed up by Université Paris 1 Panthéon-Sorbonne (20th). Three more top universities for law are found in Ireland, two of which, including Trinity College Dublin are within the top 100. Heading north into Scandinavia, Sweden offers three top universities for law, while Denmark and Finland each have two, and Norway one. Of these, Sweden’s Stockholm University, Finland’s University of Helsinki and Norway’s University of Oslo are all ranked within the top 100. Lastly, Austria has two universities ranked among the world’s best for law, including the University of Vienna in the top 150, while Portugal has one representative. Of the seven universities in China featured in the law ranking, two are within the world’s top 50: Peking University (21st) and Tsinghua University (36th). There are a further six top law schools in South Korea, four of which are ranked within the world’s top 100. Seoul National University is Korea’s top offering, at 37th. Hong Kong and Singapore boast three entries apiece, the highest of which are the National University of Singapore (16th), the University of Hong Kong (18th) and the Chinese University of Hong Kong (50th). Japan claims five top law schools, with the University of Tokyo and Kyoto University both ranked within the top 50 worldwide. Taiwan has one representative, National Taiwan University (joint 45th). 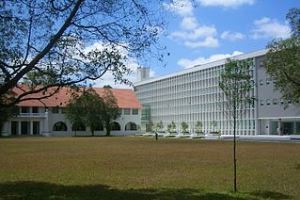 Malaysia also has one entrant – Universiti Malaya (151-200). Home to five top law schools, Chile appears to be the top country in Latin America to study law. Its top offering, Pontificia Universidad Católica de Chile, appears in 38th place. Close behind is Mexico’s sole entrant, the Universidad Nacional Autónoma de México (UNAM) at 40th. Brazil features twice in the law school rankings, with the Universidade de São Paulo in the top 100. Colombia has three representatives this year (including two new entries) – its highest ranked is the Universidad de Los Andes Colombia, which is in the top 100. Also in the top 100 is Argentina ‘s sole representative, the Universidad de Buenos Aires. Australia features 13 times in the law school rankings, with all but one of these appearances coming within the top 100. 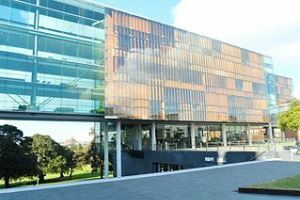 The nation’s leader in the field of law is the University of Melbourne in 8th place, and also within the top 50 are the University of Sydney (11th), the University of New South Wales (13th), Australian National University (15th), Monash University (23rd) and the University of Technology, Sydney (joint 41st). New Zealand is home to a total of five leading law schools, four of which are among the world’s top 100. These include the University of Auckland (32nd) and the University of Canterbury (51-100).